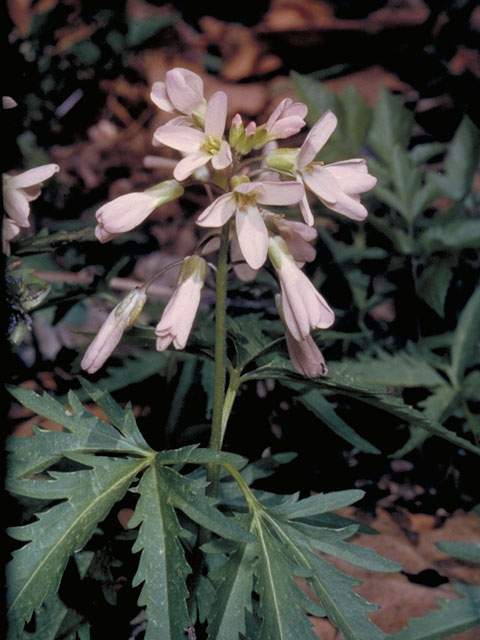 Description: Upright stem, 3-15 inches tall, with a terminal cluster of 3/4" four-petal flowers held above a mid-stem whorl of three deeply cleft, coarsely toothed leaves. A long narrow seed pod splits open a month after flowering. Perennial, but goes dormant by early summer. Also called pepper root for the flavor of the rhizome. Growing Conditions: Part shade; moist to medium soil in rich woods, floodplains, limestone outcrops. Spread slowly by rhizomes or seeds. Benefit to pollinators/wildlife: Larval host to West Virginia White and Mustard White butterflies. 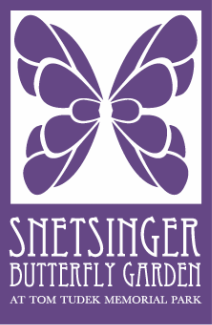 Attractive to bees and early spring butterflies. Eaten by white-footed mice. Native Status: Native throughout the Eastern and Central US.